Students in grades 5th - 8th are invited to our 350-acre organic farm for a day of fun (and educational) farm activities! The theme this year is "food cycle, recycle". All activities, goodies, and lunch are free to participants. 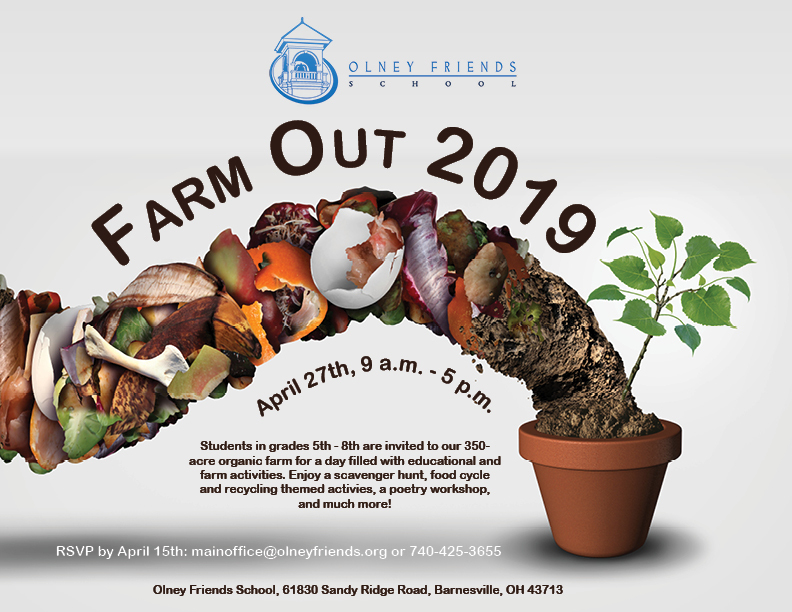 Please RSVP by April 15th by emailing mainoffice@olneyfriends.org, calling 740-425-3655, or completing the registration form HERE.